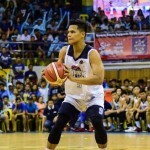 Maharlika Pilipinas Basketball League (MPBL) Datu Cup match between the Marikina Shoemasters and the Cebu City Sharks – Casino Ethyl Alcoholat the Mayor Vitaliano D. Aban Coliseum in Zamboanga City. The Manila Stars continued to ran roughshod over their rivals in the MPBL Datu Cup and on Wednesday night, the Robust Energy Capsule-backed squad added the Pasay Voyagers to their growing list of victims, 115-85, at the San Anders Gym. IN its first home game nearly a month ago, Quezon City was able to pull off a tough win over Gen San. This time, the Black Mamba-backed Capitals face another acid test when they take on the streaking Bataan Risers in the main game of the MPBL Datu Cup at the Blue Eagle Gym. Maharlika Pilipinas Basketball League (MPBL) Datu Cup match between the Marikina Shoemasters vs Pasig Pirates-Gameville at Marist School Gym, 83 Champagnat Ave. Marikina City. 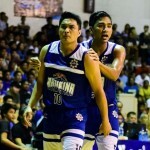 STREAKING Bulacan tests an improving Basilan squad even as host team Marikina looks for a follow up win and battles winless Pasig on Tuesday’s scheduled double header in the MPBL Datu Cup at the Marist School Gymnasium. 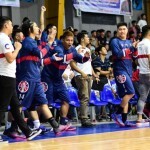 Maharlika Pilipinas Basketball League (MPBL) Datu Cup match between the Quezon City Capitals-Black Mamba Energy Drink and the Marikina Shoemasters at the Pasig Sports Complex in Pasig City. Maharlika Pilipinas Basketball League Datu Cup match between the Marikina Shoemasters and the Zamboanga Valientes at the Angeles University Foundation Gym in Pampanga. 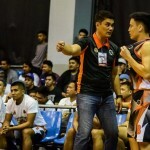 AFTER a three-day break, action in the Maharlika Pilipinas Basketball League goes to Angeles City in Pampanga as the Pampanga Lanterns play host against bitter rival Parañaque Patriots-F2 Logistics at the Angeles University Foundation Gym. Maharlika Pilipinas Basketball League Datu Cup match between the Marikina Shoemasters and Imus Bandera at Marist School in Marikina City.